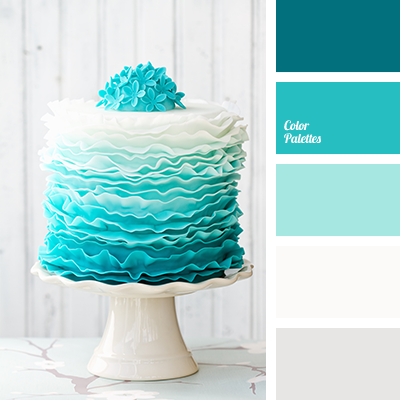 White and pearl add volume to the range of turquoise hues, intense and translucent. This color scheme is well-suited for indoor decoration with wedding balloons, lights, table decoration, and wedding picnic decoration in the open air. color combination for home, color selection for design, color selection for redecoration, dark turquoise, dark turquoise color, designer palette, designer palettes, light turquoise, monochrome turquoise palette, shades of turquoise, turquoise and white, white and turquoise.